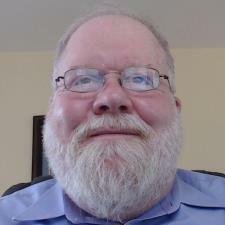 I am a retired Naval Officer and former UNIX Computer System Administrator and programmer. I hold a Master of Science Degree in Operations Research, a Master of Science Degree in Computer Science and a Master of Arts Degree in Education (Mathematics 7-12). I am a full time community college instructor and a former high school and middle school teacher. My specialty is in the key Science, Technology, Engineering, and Mathematics (STEM) subjects that are so critical to success in today's world. At the high school/middle school level, I taught all math levels to include Calculus. I also taught AP Physics, AP Statistics and AP Computer Science. At the college level, I teach Introduction to Computers using Linux, Programming and Logic I & II using Java, Web Design, Business Analytics with Excel, and Introduction to Microsoft Office. I was the Chess Club moderator at a 6 -12 private school in the Albany area and taught beginning and intermediate chess. My focus is always on the needs of the student. I am available for a one time session or for periodic help throughout a school term. I am able to help students with specific goals such as improving test scores or completing major projects. I can also act as a primary instructor starting with the basics in a subject and going as far as the student desires. I teach a range of individuals from high school and young college students to older adults continuing their education after time away from the academic environment. I look forward to assisting you in achieving your goals. Rate details: I am happy to reschedule or cancel lessons. Less than 8 hrs notice, there is a $20 cancellation fee. If two or more students attend the same session, a $12 discount per student applies. I am an adjunct instructor at a community college. I teach a full semester course on Microsoft Excel. I teach beyond the basic use of a spreadsheet and include functionality that can be used in business, statistics, and in science. I hold a Master of Science in Computer Science. As part of that degree, I studied a variety of computer languages to include C and C++. In addition, as part of my job as a programmer at Lockheed Martin, I wrote and modified code. I hold a Master of Science in Computer Science. As part of that degree, I took several courses that required programming in various languages to include Pascal, Prolog and C++. I taught AP Computer Science at a local high school using the Java language. I have programmed in several shell scripts as part of 12 years as a UNIX system administrator to include PERL, Korn shell and C shell. I hold a Master of Science in Computer Science. As part of that degree, I studied a variety of computer languages to include C and C++. I taught AP Computer Science at a local high school. As a UNIX System Administrator, I was frequently called upon to write scripts to automate systems tasks in various shell languages. I learned to program in high school and learned Fortran. Through the years as newer versions of Fortran have been developed, I have updated my knowledge. I hold a Master of Science in Computer Science. As part of that degree, I studied a variety of computer languages to include C and C++. I can use a manual or book to refresh my skills and teach any programming language I taught AP Computer Science at a local high school. As a UNIX System Administrator, I was frequently called upon to write scripts to automate systems tasks in various shell languages. I have a Master of Science degree in Computer Science. I teach Advanced Placement Computer Science using the Java Language. During my years as a programmer and Unix/Linux System Administrator, I have used many different languages both structured and object oriented. I have trained many junior engineers in good programming practices. I administered Linux machines as a UNIX System Administrator in previous jobs. I taught Linux I and Linux II at ITT Tech in Albany. I have a Master's Degree in Computer Science. As a part-time instructor at Hudson Valley Community College, I teach CMPT101, "Computer Concepts and Applications I. This course includes four weeks of Access training. I have used other databases such as SYBASE and MySQL as well. One of the languages that I studied at the Naval Post Graduate school as part of my Master's Degree in Operations Research was Pascal. I hold a Master of Science in Computer Science. As part of that degree, I studied a variety of computer languages to include C and C++. I taught AP Computer Science at a local high school. As a UNIX System Administrator, I was frequently called upon to write scripts to automate systems tasks in various shell languages. I hold a Master of Science in Computer Science. As a UNIX System Administrator, I was frequently called upon to write scripts to automate systems tasks in various shell languages. These languages included PERL. I hold a Masters in Computer Science. I worked as a System Administrator and team lead for a group of UNIX System Administrators at both Lockheed Martin (6 years) and then Wyeth Pharmaceuticals (an additional 6 years). I started using Solaris 8 and progressed to Solaris 10. With Solaris 10, I built virtual servers. I also configured multiple machines into clustered servers to ensure high server reliability using Sun Cluster software. I spent some time using HP UNIX on a few of the oddball servers as well as learning IBM's AIX for a few servers. As we migrated to multiple racked PC type servers, I learned Linux System Administration. I hold a Master of Arts in Education (Math 7 -12). As part of my teaching curriculum, I spent many hours studying "reading across the curriculum". In the classroom, I ensure that my students can read and interpret a variety of written material. Reading for understanding is a critical component of the AP Statistics course I teach. I have a Master of Arts Degree in Education (7-12 Mathematics). I have taught all levels of high school math from pre-algebra through calculus. I have a Master of Arts Degree in Education (7-12 Mathematics). I hold a teaching certificate from New York State and am qualified to teach middle school and high school math up to and including Calculus. I have taught summer Regent review courses for both Algebra I and Algebra II. I have a Master of Arts Degree in Education (7 - 12 Math). I currently teach Calculus and tutor students for both Calculus I and Calculus II. I have taken advanced courses in the practical application of Calculus in Engineering. I taught Chemistry topics in 6 - 12 private school. Conducted various lessons and labs for students. Tutored students to help them to do well on NYS Regent Chemistry test. I am a former 7-12 Math Teacher, including for the SAT, with an MS in education. I have a Master of Arts Degree in Education (7-12 Mathematics). I have conducted review courses for Algebra I and Algebra II. I tutor Geometry and Calculus. This experience allows me to help a student prepare for all aspects of the ACT Math test. I am the Chess Club faculty adviser at a local 6 - 12 school. When I taught in New York City I was the club adviser to the chess club and participated in training courses taught by "Chess in the Schools". I have been playing chess for 40 years. I have experience teaching older students and young adults. As a math and science teacher, I can provide thorough preparation for the GED. I have a Master of Arts in Education (Math) and hold a current Mathematics 7-12 New York State certification. I have taught various Regent level courses in both Math and Science. I taught an Algebra II Regent review course. Not only helping with the material but also on how to eliminate wrong answers and other test taking techniques. In two lessons, we can already see the difference. Joseph was very knowledgeable about the uses of Excel for business and also very patient. He explained each process, what it was for and the steps to get there. I will definitely ask for his help in the future. My son has worked with several tutors in the past and finds Joseph to be most engaging. My son is trying to get a jump on advanced trig for next year we are confident that once a week with Joseph will provide a solid foundation. Joseph is patient and can sense my son's learning style. We are very happy. Thanks Wyzant ! Awesome tutor. Very knowledgeable! Only 4 tutoring sessions and I've learned more than I have in my 5 week class. Definitely recommended. I learned more in one hour with Mr. Joseph than I did all week in math class. He just explains things really well. In just three weeks time, Joseph helped my son go from a failing grade on the common core geometry exam to a passing grade on the standard Regents exam. Without his help, I have no doubt that my son would be in summer school right now. Joseph was able to clarify the key concepts of geometry and help my son gain confidence in his own ability and knowledge. He pushed my son hard, but not beyond what Joseph recognized that my son was capable of doing. While he already had a very busy schedule, Joseph was able to accommodate my request for a significant amount of hours each week. He was flexible and a real pleasure to work with. I would highly recommend Joseph as a tutor to others. Reviewed and explained problems in detail. He was understanding and showed me easier ways to do problems. He even made up some of his own problems for me to do so I could figure it out on my own.